Closing on a House Checklist: 6 Things Home Buyers Must Do Before They Move In - Don't let your dreams be dreams! 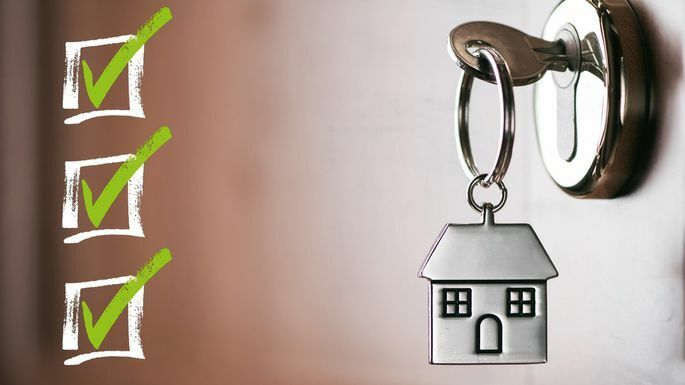 Welcome to your Closing on a House Checklist—a rundown of everything home buyers need to do in the 11th hour before they get their hands on those keys. Because when you’re approaching the finish line in your home-buying journey, you want nothing to go wrong, right? That’s why we’ve put together a home closing checklist, which outlines your action points in those few days leading up to settlement. Keep this list handy to know you’ve done what you need to in order to close the deal. ~Home inspection contingency: This gives buyers the right to have the home professionally inspected. If something is wrong, you can request it be fixedor you can back out of the sale. Its rarely advisable to waive an inspection contingency. Although the average home inspection costs $300 to $500, its a drop in the bucket considering the costly home issues you might uncover, says Claude McGavic, executive director of the National Association of Home Inspectors. ~Appraisal contingency: With this contingency, a third party hired by your mortgage lender evaluates the fair market value of the home. If the appraised value is less than the sale price, the contingency enables you to back out of the deal without forfeiting your earnest money deposit, says Bishoi Nageh, president of the Petra Cephas Team at Mortgage Network Solutions, in Somerset, NJ. ~Financing contingency: This contingency gives you the right to back out of the deal if your mortgage approval falls through. You have a specified time period, as stated in the sales contract, during which you have to obtain a loan that will cover the mortgage.